Overcoming The Pain of Paying: How To Affect Consumer Behavior? After a consumer finally coped with choosing the “right” product he is always confronted with another challenge – the price of the selected item. Though not the price itself bothers customers but the painful understanding that he has to exchange a certain amount of hardly-earned money for a particular object, which might not be actually worth the price. So many doubts emerge in customers’ heads at this moment. That’s what consumer behavior researchers call the pain of paying. Understanding of this concept is crucial for successful management of consumer’ shopping behavior, as to the certain extent it influences the purchasing decisions of all consumers. So how do you affect the buying behavior of consumers? Let’s dig a little bit deeper into the issue. Give consumers a possibility to delay the pay day. Giving the product to the consumer without obligation to pay instantly is a very effective move, allowing him to obtain the desired product without bearing the mental burden of spending money. Paying afterward, whether it will be one-time payment or payment by installments, is easier for a consumer as his brain will have more time to accept the loss of money. As a result, the level of consumer’s satisfaction with the product (if it’s the case, of course) will mitigate the negative emotions related to potential expenses. Ensure that the consumer will have the possibility to receive back his money in case he changes his purchasing decision. Such option is a kind of insurance from the wrong decision which makes the process of paying more comfortable for a consumer. This simple step proved to be very effective, as it addresses the need of our brain to have a plan “B”, a coping strategy which will help to adapt to the negative consequences of the “wrong decision”. Thus, providing a customer with a possibility to receive money back comforts him as he won’t have to cope with negative consequences of the “wrong purchase”. 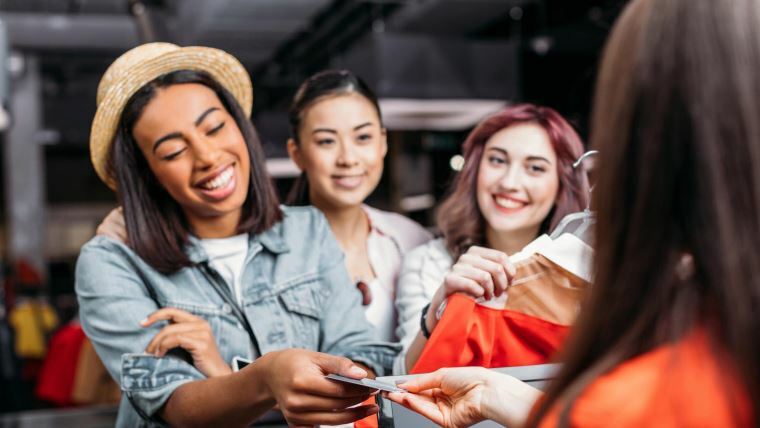 Analysis of consumer behavior demonstrates that customers are likely to pay for the product if they receive some extras to the product they buy. That’s why “special offers” are so popular among consumers. The thing is that by paying for the product that comes with extras (for example when a consumer pays for the smartphone and receives a memory card for free), as shoppers we are quite sure that we got a better deal even if we would never have bought this memory card separately. It is important to remember that the goal is not to make consumers buy your product but to make sure they actually enjoy it and are ready to come back for more. It is important to act responsibly with all the influence we have on shoppers’ behavior.